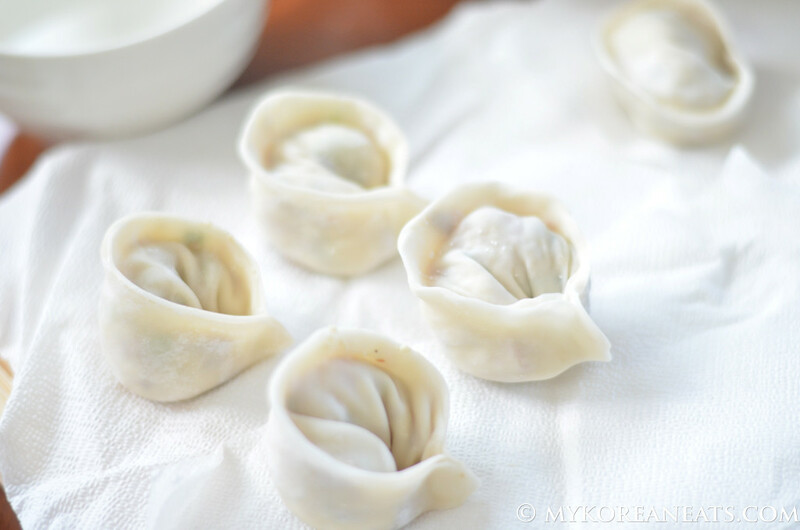 Mandu (Dumplings) 101: There are many variations of mandu like gogi mandu (meat), yachae mandu (vegetable) and my favorite, kimchi mandu. 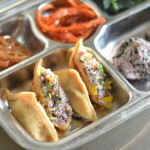 For my batch, I decided to make gogi mandu using Jeju’s famed ground black pork as the main protein and available vegetables in the fridge. 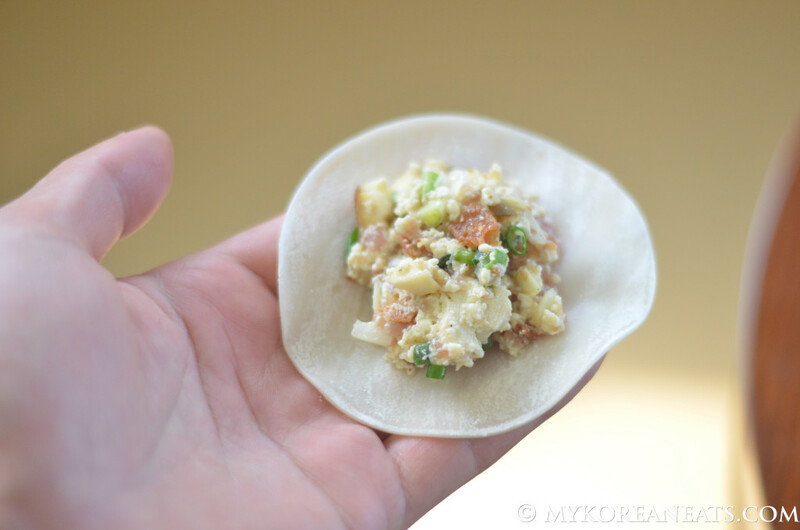 The great thing about making mandu is that you can make them in large quantities and freeze them for later use, which sadly we couldn’t do because our freezer was already packed with other goodies. 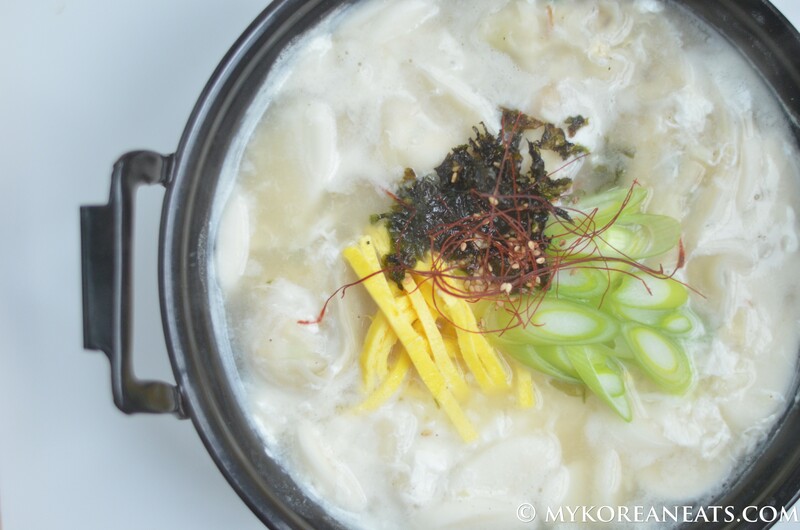 Mandu are delicious eaten alone, but they also make for great additions to soups. 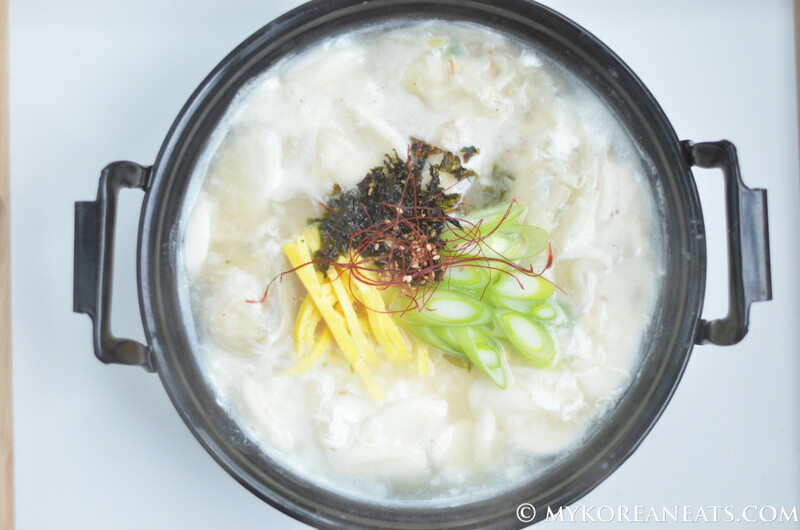 It is common to eat mandu guk (dumpling soup) or a variation called tteok mandu guk (rice cake and dumpling soup) on New Year’s Day in Korea. Half of the filling ingredients were diced for the deconstructed topping. Mandu pee (wrappers/skins) can be bought at most Asian grocers. If you have extra space in your freezer, I recommend buying two packs and making extra for later use. 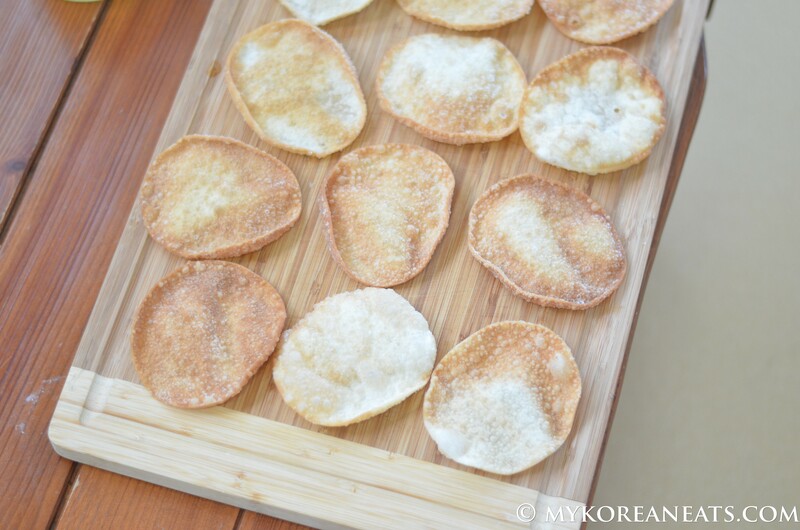 Heat up a generous amount of olive oil, then fry the mandu wrappers for about 20 seconds or until browned. 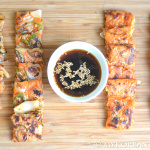 Place the fried wrappers on a serving dish, or if you’re like me, a large cutting board. Stir-fry the toppings until cooked through. Add extra salt and pepper to taste. 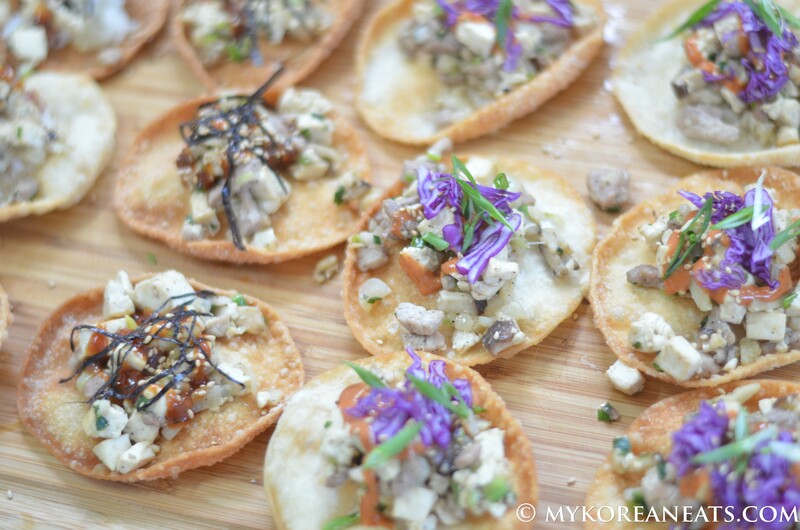 Another view of the deconstructed mandu! 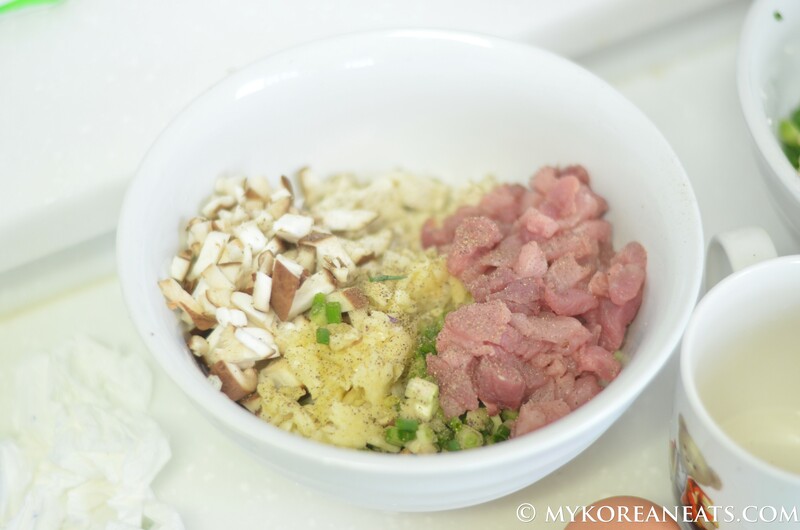 Finely dice your ingredients and mix them together. Add a generous amount of filling into the wrapper. Moisten the outer edge with water or egg yolk as an adhesive. Fold into a half-crescent moon. Once filled and made into half-crescent shaped moon, bring the two edges together and pinch at the corners to stick. 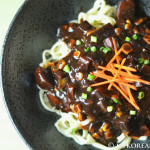 Using ready-made seolleungtang (beef stock) from the market is highly recommend for a richer broth. 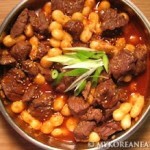 Another option is to boil any cut of beef along with dashida (instant beef stock). Rice cakes are optional. Boil the ingredients together for about 10 minutes with a dash of salt and pepper. Adding a beaten egg is optional for a creamier texture. 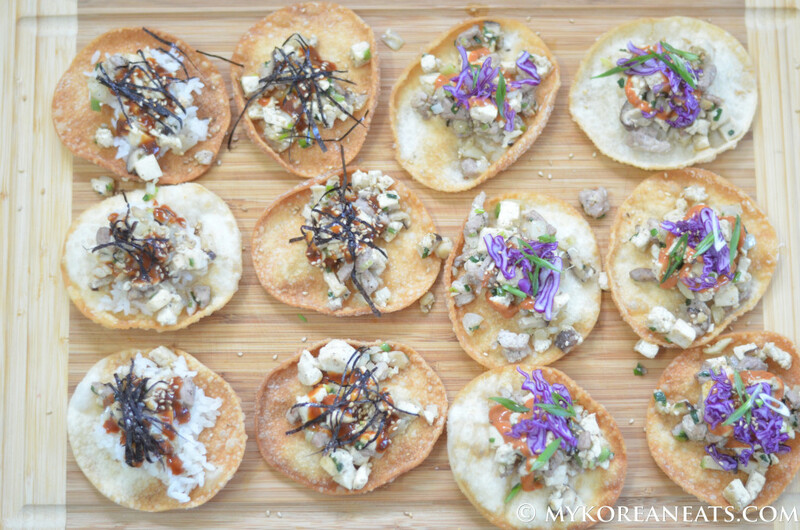 Mandu pieces should float or rise to the top when fully cooked through. 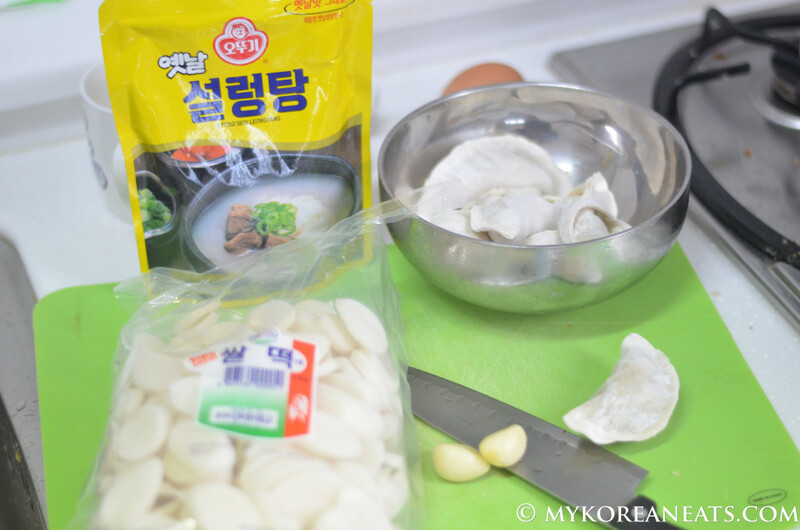 Add some garnish and you’re ready to eat tteok mandu guk! 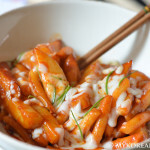 Another view of the tteok mandu guk! Prep half of the vegetables and tofu by dicing into 1cm pieces while mincing the remaining for the mandu filling, set aside. 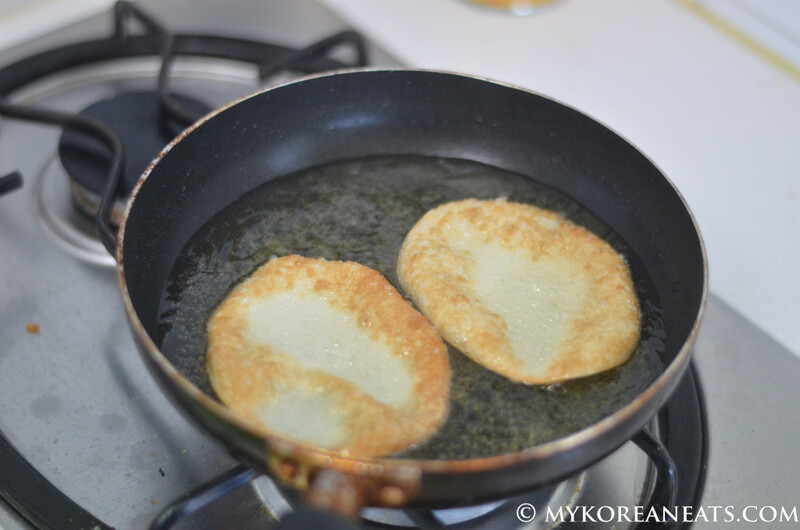 Heat up a generous amount of olive oil to deep fry, then fry the mandu wrappers for about 20 seconds or until browned. 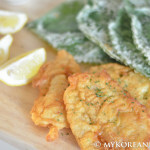 Set aside fried wrappers on paper towel lined plate. 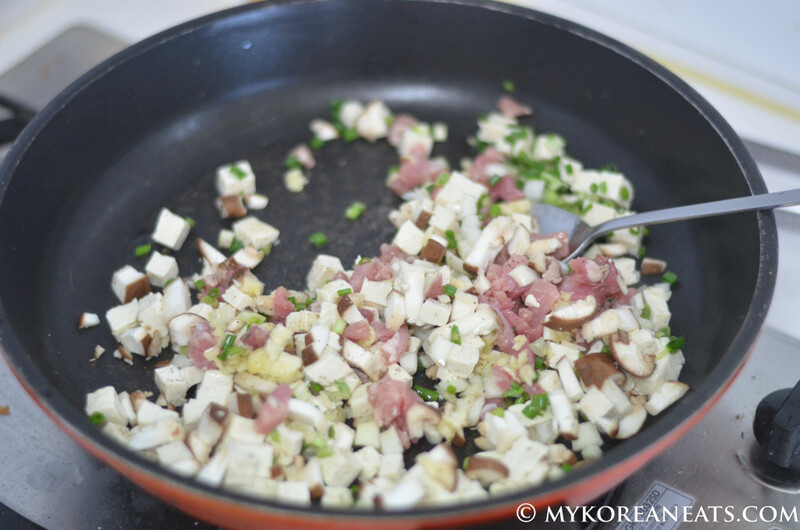 Saute the diced vegetables and seasonings until cooked through. Add salt and pepper to taste. Plate accordingly onto the fried mandu wrappers. Enjoy! Bring the beef stock to a boil in a pot over medium-high heat. 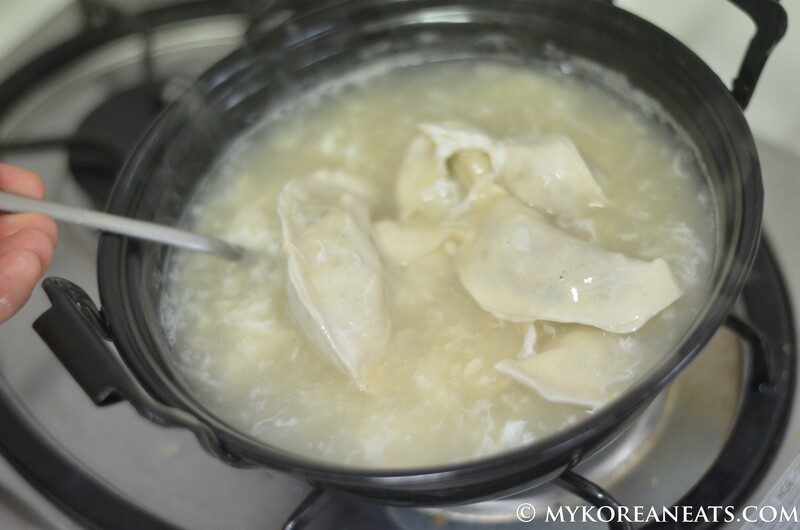 Add the dumplings and rice cake slices; cook at a boil for about 8~10 minutes or until the dumplings have risen to the surface and the rice cakes are soft. Add beaten egg for silkier texture. Garnish with fried egg yolk called jidan, dried laver, and scallions. Enjoy piping hot!